Wondering who those acoustic music groups are? 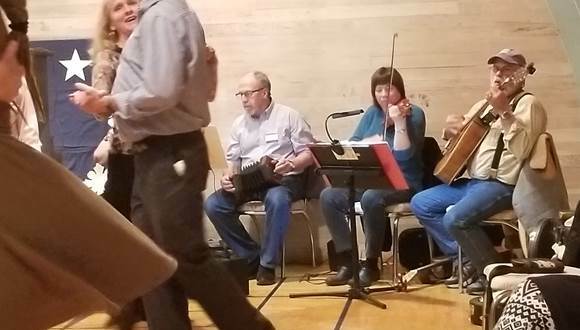 Contra dance band which plays for WWFAM dances and has also performed on Main Street in Walla Walla and at dances and parties in Pendleton, La Grande, and Tri-Cities. Members: Trudy Ostby, fiddle; Terri Trick, piano; Clark Colahan, whistle and wooden flute, Jon St. Hilaire, guitar, Harvey Neuber, concertina, and Sharon Thompson, fiddle. Traditional Irish band which has performed at dances, weddings and parties for several years. Members are: Larry Dickerson, accordion, concertina, mandolin, mandola, whistle, flute; Jon St. Hilaire, guitar; Trudy St. Hilaire, fiddle (541-938-7403) and Laura Hall (509)525-4555, cell is (509)301-9360 , bodhran, bones and vocals. Performs traditional music from the Andes in South America. 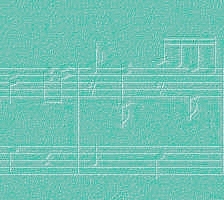 The band has performed at concerts, coffeehouses, etc. in the area for several years. Members: Clark Colahan, pan pipes and vocals; Victor Trejo, guitar and vocals; Trudy Ostby, violin; Howard Ostby, drum. Contact: Clark Colahan, 541-938-2035. Trudy Ostby, violin; Phil Lynch, 8 string guitar and vocals; Jon St. Hilaire, guitar and vocals; Howard Ostby, conga and vocals; Jerry Yokel, mandolin, harmonica and vocals; Laura Hall, percussion and vocals. We are a "string swing" band, playing Gypsy Swing, Texas Swing, Jazz Standards, some songs in other languages, Latin tunes, Dawg Music (or "New Acoustic"). This is great dance music for any age group. Contact numbers: Laura Hall (509)525-4555, cell is (509)301-9360/email: lhall615@hotmail.com, Trudy Ostby Trudy and Howard Ostby: ostby@bmi.net (541)938-7403. Walla Walla's Premier "Good Time" Rock & Roll Band. Members: Michael Ponti, Richard Monacelli, and Nancy Monacelli. Playing the songs you know by heart! Website: Walla Walla Vintage.